Shion's big sword did not disappoint for damage or flash. Also good to see her battle dress secretary suit has full range of motion. 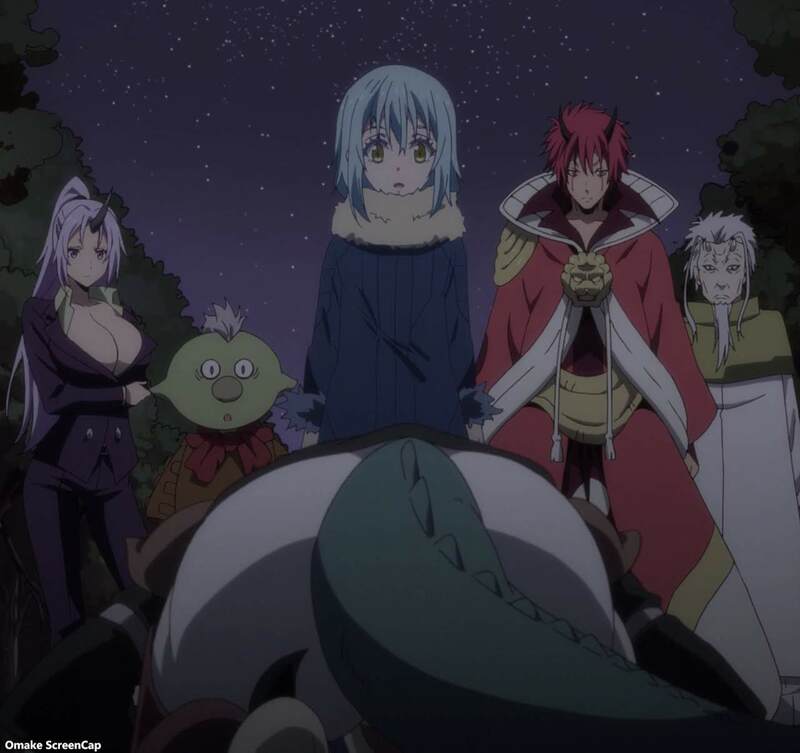 Rimuru's battle party met with Gabiru's sister in the forest and officially formed an alliance. Meanwhile, the dryad Treyni found the orc army mastermind and scared him away from her territory. 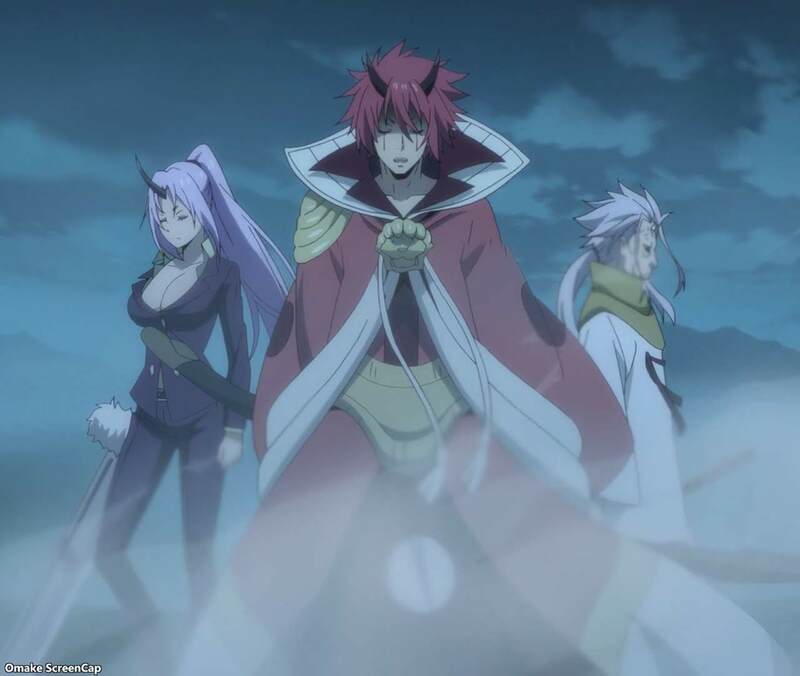 The kijin were ready to avenge the destruction of their ogre village. So many big are of effect spells! Don't get on Shion's bad side, says her boss, Rimuru. Noted.